Go yourself or send someone you trust to KFC to buy the cole slaw. Empty the KFC cole slaw into your own container. Throw away the KFC container...it's evidence. Yes, mammaw's cole slaw came from KFC. The funniest thing was that it really only seemed to be a secret to my grandfather who never realized that she hadn't spent hours chopping, mixing, and making cole slaw from scratch. I have my own little shortcut that I've been pretty secretive about. I guess I get it from her or my mother who also tends to leave steps or ingredients out of recipes from assuming that the recipient of the recipe knows to do or include those things without it being spelled out for them. This is my default dessert when I just don't have the time or energy to make something from scratch. People love it and always ask for the recipe. My response has been, "Of course. Yes, I'll get that to you." Then I don't. I'm coming clean though. I am going to finally share my recipe. I cheat on this just like my grandmother cheated on her cole slaw. I fill a ready-made pie crust that has been placed in my own pie dish with a ready-made cheesecake filling, and top it with cherry pie filling from a can. There it is! It literally takes seconds to make because I cheat. Due to the fact that it is so easy and tastes fabulous, I decided to get a little creative and try something new. 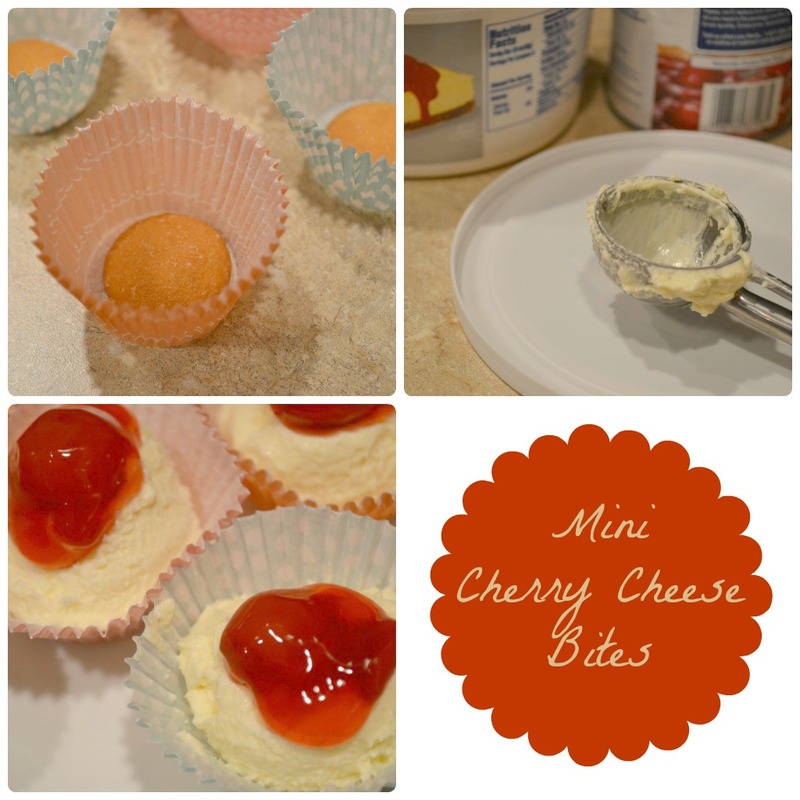 I put mini vanilla wafers into the bottom of mini cupcake liners, added the cheesecake filling, and topped them off with the cherry pie filling. 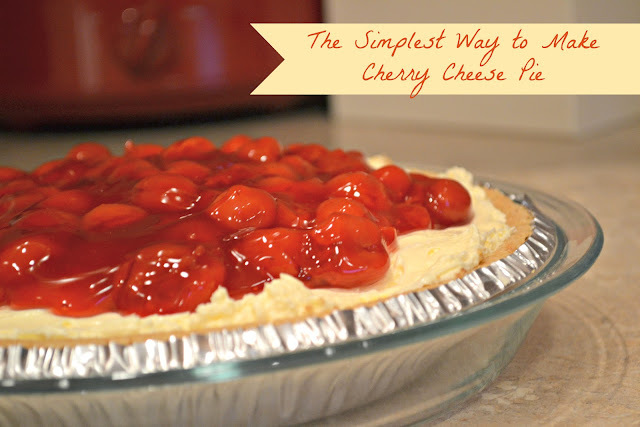 If you refrigerate them overnight, the wafers get soft making perfect mini crusts for these delicious cheesecake bites. Do you have any of your own recipe secrets? Want to share?